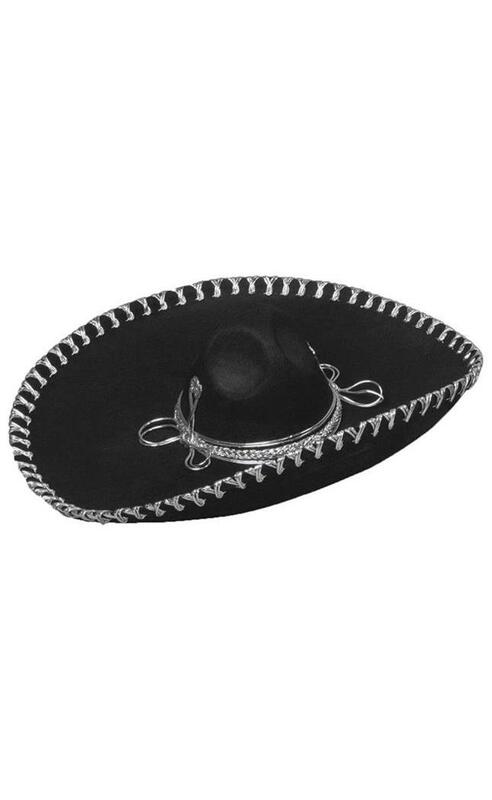 Perfect for Cinco de Mayo or any other Latin American party! 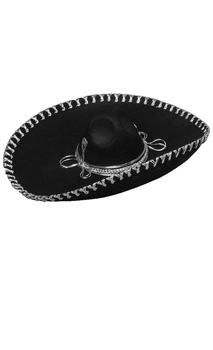 Black sombrero with silver trim and oversized brim. Approximately 24 inches across. One size fits most.